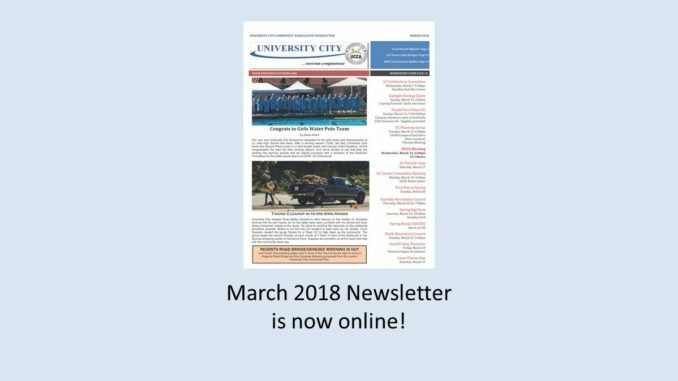 The March 2018 University City Newsletter is now online! Also available at the Community Library on Governor and the Standley Recreation Center; delivered to homes in south University City this weekend. What’s going on with Starbucks and Primos on Governor Drive?